The Election Commission of India (ECI) will provide pick-up and drop facility to disabled voters in the upcoming Lok Sabha elections, an official said on Thursday. The move is aimed at facilitating persons with disability (PwD). Maharashtra has total of 2,24,162 voters registered as PwD across 48 Lok Sabha constituencies, the official said. 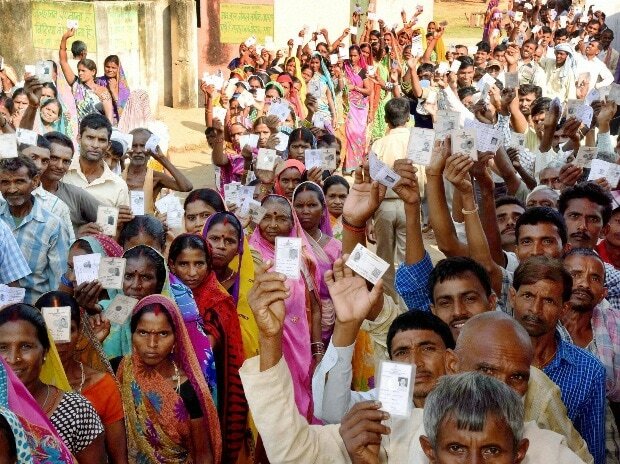 "Currently, these voters are carried to the polling booths by some political party, obliging the voters to caste their vote in favour of the party. The ECI wants to avoid it, as there have been instances of conflicts between the supporters of contesting candidates due to it," an ECI from Maharashtra said. The commission has developed a mobile application named as PWD, which will be activated in a couple of days, using which the voters who have enrolled themselves as persons with disabilities (PwD) can inform the ECI in availing the pick-up and drop service. The app will soon be available on Android Playstore. But it is yet to be clear whether it will be available on other operating systems as well, like the App Store of Apple. "Ideally, a political party should not bring voters to the polling centres...It is for the first time, the election commission will pick up the voters from their houses and drop them again after they they cast their vote," Additional Chief Electoral Officer of Maharashtra, Dilip Shinde, said. "It is going to be a completely free-of-cost service. The entire cost of pick-up and drop would be borne by the ECI. The commission has already roped in several NGOs working for the physically-challenged persons as well as several auto and taxi service providers for the service," he said. "It is a completely voluntary service. If a physically challenged person does not wish to avail it, it is that person's choice. But in order to avail the service, registration is mandatory," he said. He said the ECI will get to know the number of PwDs through the voters' list and the polling centres. "Based on the data, arrangement of vehicles as well as helpers will be made on each polling centre," Shinde said. Special camps were held, specifically for the visually challenged voters, whereby they were informed about the new system. Government officers were also given instructions about how to behave with the PwDs, said another official from the ECI. Maharashtra has total of 8,73,30,484 voters, of whom 4,57,02,579 are males, while 4,16,25,819 are females. Total of 2,086 voters have been registered as 'other'. The state has total of 2,24,162 voters registered as PwD. The election commission will be organising state-wide booth level camps on February 23 and 24 to educate voters about VVPAT machines, new voter IDs and other initiatives taken by it, where the voters can even see the list to check their names, the officials said.